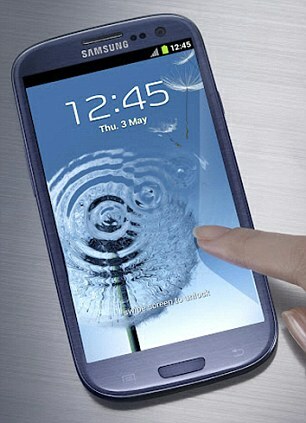 After launching the new Samsung Galaxy S-III with a Quadcore processor, everybody is talking about this. Many comparisons started between the S-III and the iPhone. Though, apple users always stand for their products and shout they win on all aspects, in my opinion, I think it's time for the Galaxy S-III to capture the smartphone market. To be honest, I don't believe that any company can beat Apple. Apple has many features, is not only the name, its' operating system is that simple to use that if it is your first phone you will not face any problems to use it. No other operating system has reached this advantage. iPhones' operating system is a reason why it has so many sales. Apple is good for eating only. This is the first time I read that iOS is more user friendly than others, exactly from Android OS. Though, apple is also feature reached but on any context like pricing, features, operating usability, apps content, in every sense, now, android smartphones are the best in class. Android is easy to use by people who was using computers, DVDs and any other technology devices. People who have nothing to do with technology, find it easier just to touch icons and do what they want. I didn't say Android is complicated, but using an iPhone with a single button, is simpler.